Canal Junction Farm is farming outside the box! They're not your typical NW Ohio farmers, and it's paying off. 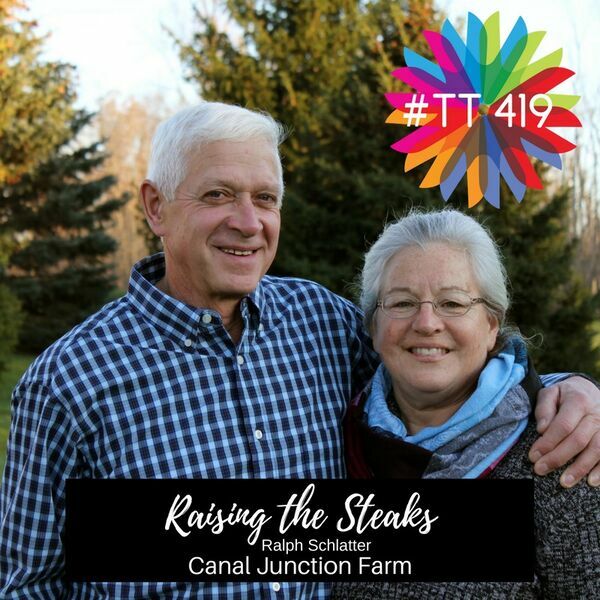 From individual clients to restaurants like the very popular Fowl and Fodder in Toledo, people are in love with their healthy, delicious, sustain-ably (and ethically) raised grass fed meats and cheeses. When you're talking holistic health, a big part of this is caring for the body by making sure food choices are top notch! We are lucky to have a local farmer who agrees with this concept. In this episode, we talk about how Ralph used grass-grazing to bring life to "dead" farm soil, about his stint with hydroponics, the history of his farm, whether or not their products are organic, and why his meats and dairy are so much healthier than the typical foods produced on conventional Northwest Ohio farms.